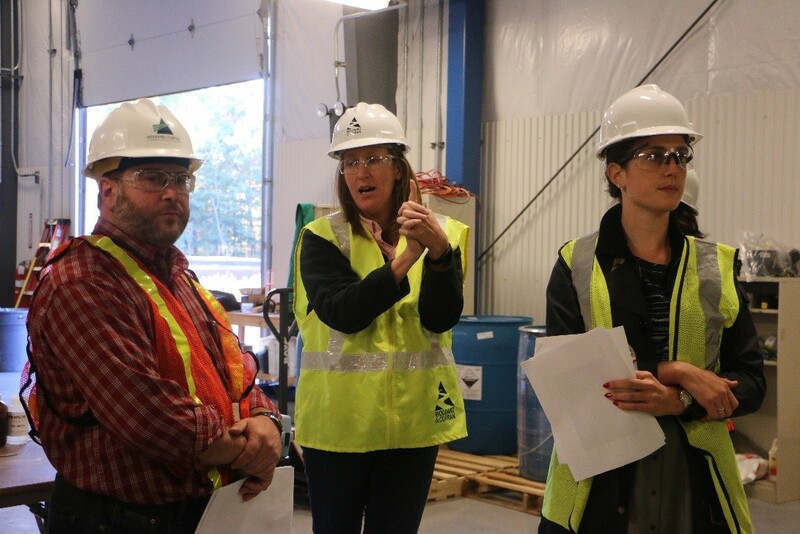 In a continued effort to promote the Timberlane Regional School District Business and Community Partnership Program, Exxon Mobile and the Beede Oil Superfund Site in Plaistow recently hosted Timberlane High School teachers, Steve Rugoletti, Michelle Grimm, Bethany Weiss and Mark Pedersen for a private tour of the site and its facilities. This opportunity allowed teachers to gain an appreciation for the work that is being done, and bring the relevant science back into their classrooms. Project manager, Michael Skinner gave an overview of the site’s history as well as explained some of the factors that go into cleaning up and remediating a site. Other key members of the tour included Barbara Leatherwood from Exxon Mobil, Carolina Roberts as Community Liaison for the Beede Group, Cheryl Sprague from the EPA, Ken Richards from NHDES and Cathy Rockwell from Woodard and Curran engineering whom all explained their respective roles on this project. The teachers were amazed as Cathy and Michael explained the technologies that remove contaminated water, clean it, and return it to the ground. Teachers were impressed to see numerous organizations working together for the common goal of remediating a local property. The teachers plan on using this experience in the classroom as a relevant example of engineering and cooperation to solve real world community problems. This is another example of how our partners can support public education through business and community partnerships by helping bring resources to our teachers and our classrooms. Please share our link below for more information on how to become a Business and Community partner or call Scott Strainge, Business and Community Partnership Program Director at (603)382-6541 ext. 3907.